Well done to all our juniors who raced at national junior championships, 20-22 July 2018; we raised the bar from last year so much! With 19 events entered we came away with the results as below. 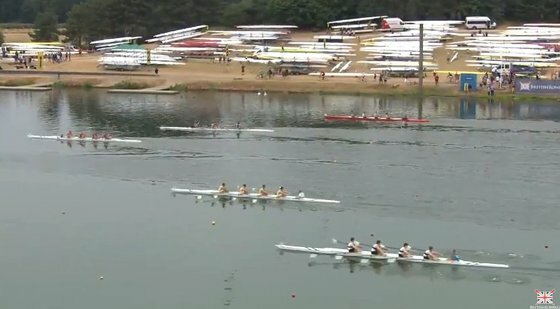 Pic is of the J14 4x+ A final, with our boat bottom right. J14 4x+ A final 6th, J18 1x B final 2nd, J16 2x B final 3rd, WJ16 2x C final 4th, WJ15 4x+ (TYN/DARC) C final 3rd, J18 1x D final 5th, WJ14 4x+ D final 1st, J15 1x E final 1st, WJ15 2x E final 2nd, J16 1x E final 6th, WJ18 4- 7th, WJ16 2- 5th. There were also some superb performances in the J14 omnium.